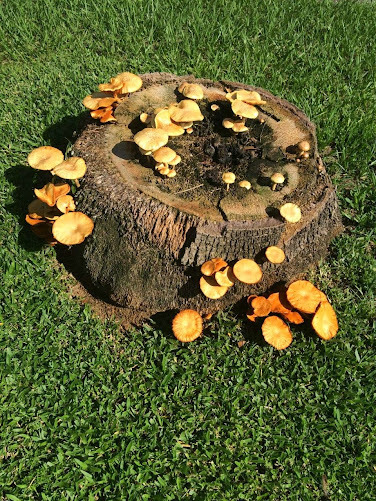 A tree stump in my neighborhood recently became home to some mushrooms. They just seemed to appear out of nowhere, and I just thought it was so pretty. I mentioned it to my daughter, and she took a picture for me. The mushrooms are gone, but I still have this pretty picture of one of nature's wonders.